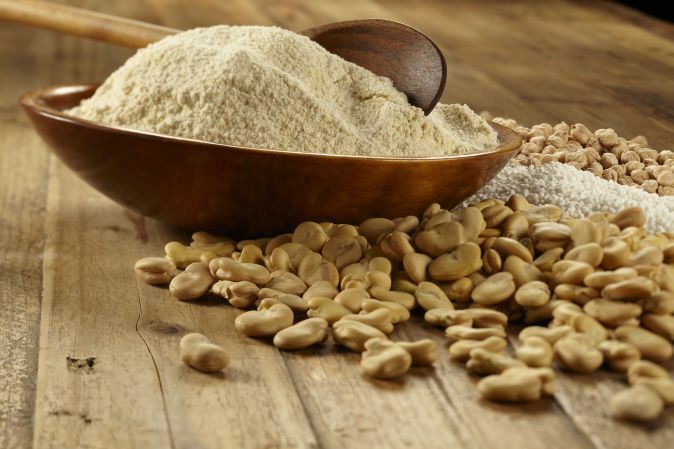 High in dietary fiber, magnesium, phosphorus and high quality protein, this nutritious flour has a smooth, nutty flavor. Three ways to use Bean Flours baking, thickener, dip or filling. Recipe using Bean flour see Here and Here and Here .